George Vujnovich was known to his friends as a mild-mannered businessman who owned an airplane parts supply company. In 2007, when Vujnovich was 92, that impression was to change. The change was prompted by the publication of The Forgotten 500 by George Freeman, which led to Vujnovich being formally recognized in October 2010 for his role in Operation Halyard, a World War II rescue operation of hundreds of downed Allied airmen in Serbia. Vujnovich had humble beginnings in Pittsburgh as the son of Serbian immigrants. He worked for the Heinz Vinegar factory after leaving school before winning a scholarship to study medicine at the University of Belgrade. It was there that he met his future wife, Mirjana Lazich, and had his first brush with the German army. 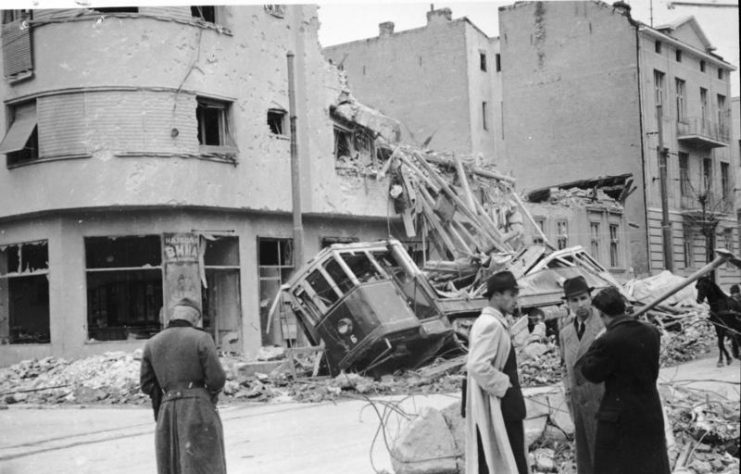 When the Luftwaffe bombed Belgrade in April 1941, Vujnovich was there and witnessed a streetcar being obliterated during the attack. He and his wife fled the city, making their way to Turkey before heading through Jerusalem, Cairo, and Ghana. There he was able to get a job with Pan Am, which allowed his wife to travel to his home in the United States. While working for Pan Am in Africa, Vujnovich received a U.S. Army commission. The U.S. Office of Strategic Services (OSS), upon learning of his knowledge of Yugoslavia, soon recruited him. This, along with his wife working at the Yugoslav Embassy in Washington, led to the turning point in which Operation Halyard became a concrete operation. 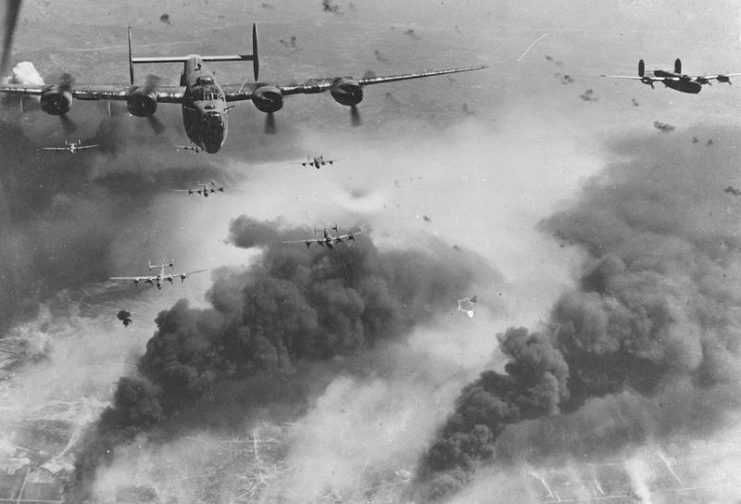 The operation had started in the wake of Allied bombing which had destroyed the network of petroleum resources that the German army relied on. The focus of the bombing was the facilities in Ploesti, Romania, which supplied Germany with approximately 35% of their petroleum needs. 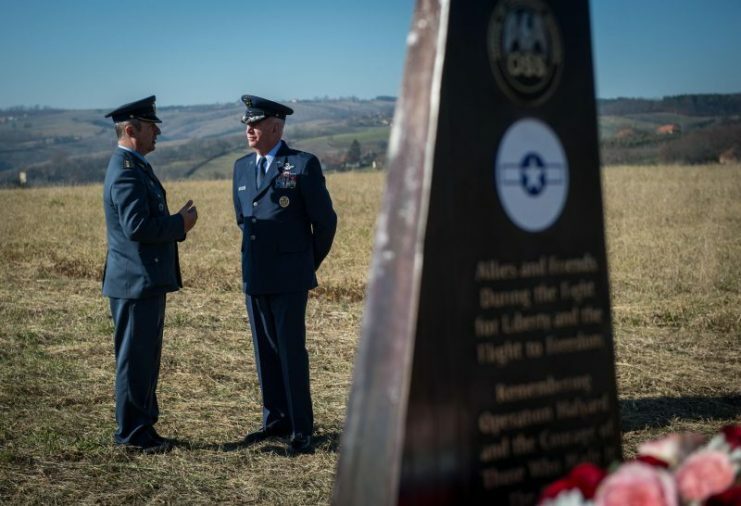 While the bombing was successful, it resulted in 350 airmen being lost after they had to bail out over the Nazi-controlled region of eastern Serbia. 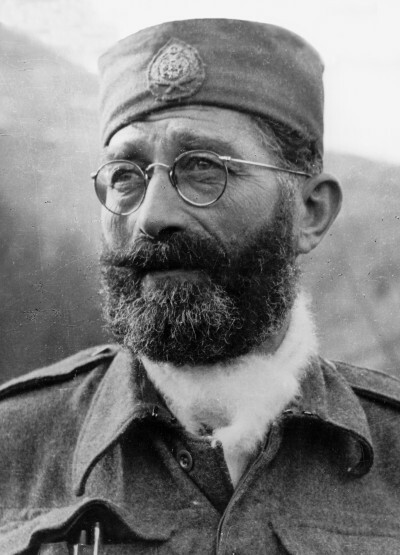 The region was not controlled only by Germany: there also were Serbian guerrilla forces in the area, led by General Draza Mihailovich. Mihailovich ordered his troops and the locals of the area to shelter the airmen and help them get to Pranjani. Pranjani was the headquarters of the Chetnik guerrillas and had a runway which would allow for evacuation. Mihailovich then tried to alert the American authorities to the situation, but no action resulted after his initial communication. 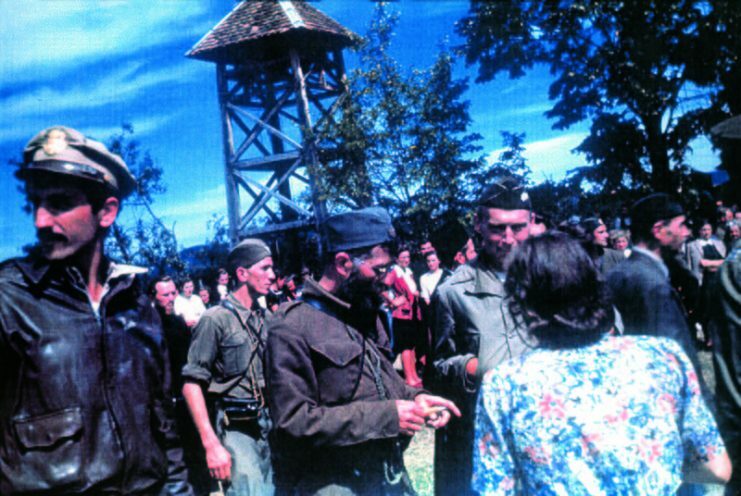 Joint US/Chetnik military ceremony in Pranjani September 6, 1944. Capt. Nick Lalich (OSS Halyard Mission), Gen. Dragoljub Mihailovic (Yugoslav Army in the Homeland), and Col. Robert McDowell (OSS Ranger Mission). 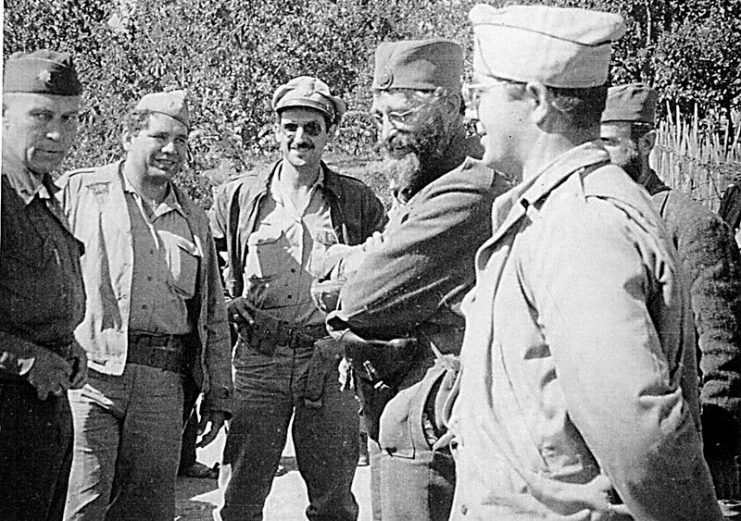 All was not lost, for Mirjana Vujnovich heard the reports that Serbian guerrillas were sheltering Allied airmen. She passed this information on to her husband, who started to put together a rescue plan. The resulting plan, Operation Halyard, was created with the help of the commander of the 15th Air Force, General Nathan Twining. 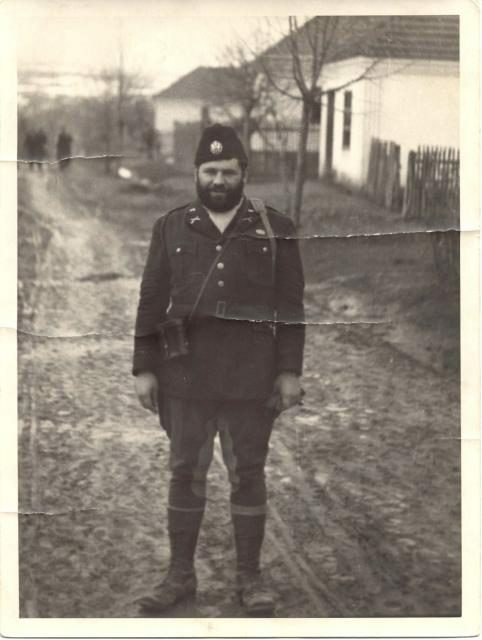 Draza Mihailovic, former commander of Serbian Chetnik forces during WWII. The men decided that the best solution would be to contact Mihailovich and airlift the men from Pranjani. However, the buildup to the rescue mission was slowed by political opposition from Great Britain. While the British had supported Mihailovich initially, they had since changed their backing to the Croat communist leader Josip Tito. The change was driven by the British feeling that Mihailovich was not doing enough to fight the Germans while publicly ranting about the British. 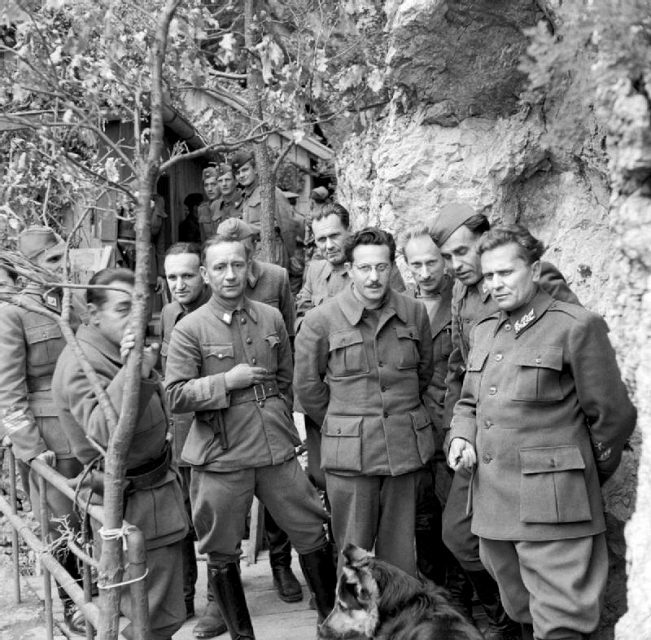 Josip Broz Tito and the Partisan Supreme Command, May 1944. The political resistance forced the director of the OSS to go directly to President Roosevelt. The President agreed to the operation, and the British followed suit. 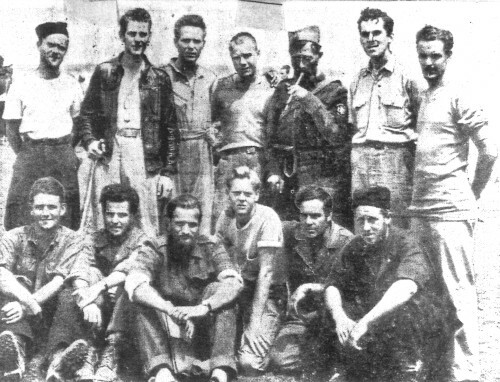 For their cooperation, the British were placed in charge of the logistics of the operation, but the first six attempts to insert a team to coordinate the rescue had to be aborted. The OSS began to suspect that there was sabotage at play from communist moles in the British Special Operations Executive organization. American pilots together with General Draze 1944. Meanwhile, Vujnovich did not relent in his efforts. He trained a three-man team to parachute into Pranjani after Captain George Musulin, the head of the operation, demanded that logistics be transferred to the Americans. The team parachuted down on 2 August 1944, with radio equipment and a mission to prepare for the airmen’s evacuation. Vujnovich had originally planned to lead this particular mission himself, but that was halted by a telegram from the White House citing an objection from a former naval person. This was code for Winston Churchill, who is believed to have learned about Vujnovich’s pro-Mihailovich views. 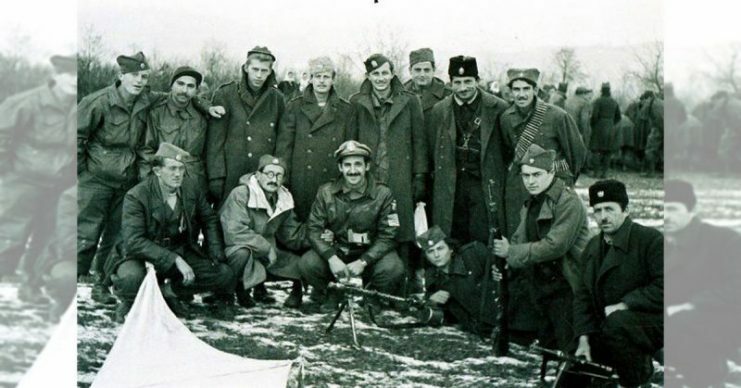 The three-man team were disguised as Serbian nationals and worked with local laborers as well as the airmen under Captain Leo Brooks, himself a downed aviator who had assumed command of the Allied airmen, to improve the British landing strip near Pranjani. The strip had been deemed unusable by the 15th Air Force and improvements would need to be carried out. The work was completed quickly and the first rescue flight occurred on 9 August 1944. 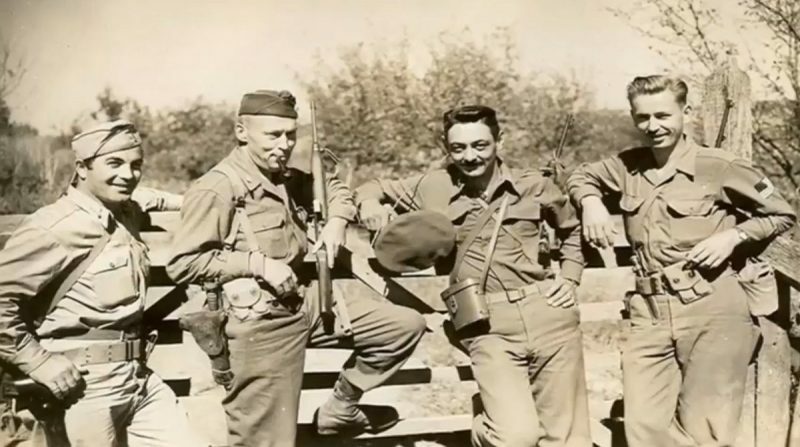 General Mihailovic with the members of the US military mission, Operation Halyard 1944. While Vujnovich was not able to lead the mission on the ground, he was in charge of logistics for the entire operation. The operation lasted for 6 months with the last evacuation occurring on 27 December 1944. The operation was completed with precision and 512 airmen were transported in total without a single loss of aircraft or casualties. In fact, the Germans never even discovered the runway which was used. 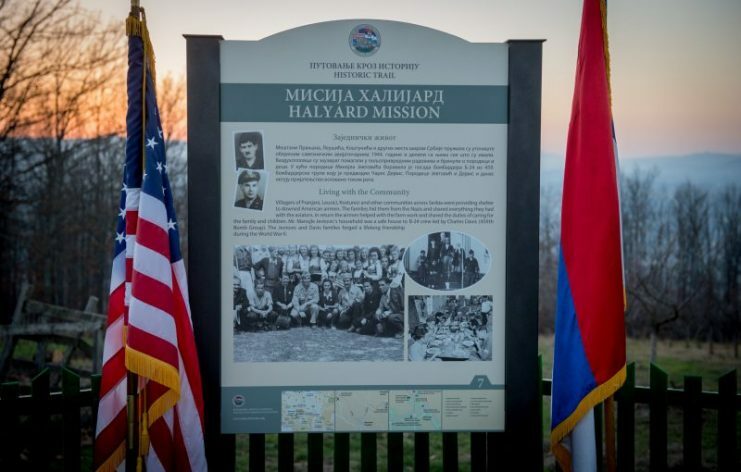 The U.S. and Serbian flags are displayed together at an historic marker, detailing a part of Operation Halyard at a ranch in Pranjani, Serbia, Nov. 17, 2016. Operation Halyard remained classified and in obscurity until 1997, when the British documents about it were declassified. The pivotal role that George Vujnovich played would only come to light a decade later, 5 years before his death. In 2010, he was awarded the Bronze Star for his part in Operation Halyard. His funeral in 2012 was held in St Sava Serbian Orthodox Cathedral, New York, and ended with a military service to distinguish this unassuming hero.